Obituary for Ralph Henry Bastien | Langeland Family Funeral Homes, Inc. Passed away peacefully on April 8, 2018. Ralph was born on June 1, 1920 in Windsor, Ontario, Canada, the son of Ralph and Blanche (Roach) Bastien and soon after moved to Michigan where he became a naturalized US citizen. Upon graduating from Grosse Pointe High School Ralph continued his education at Duke University in Durham, NC, where he received a bachelors degree in business administration and was a member of Phi Kappa Psi and the Pan Hellenic Council. After graduating he worked for General Motors Corporation until 1945 when he married Priscilla (Pam) MacDowell, in Grosse Pointe, and moved to Kalamazoo. Ralph was General Manager of the Kalamazoo Gazette until his retirement in 1982. Ralph's community activities included being an active member of the Kalamazoo Chapter Association for Emotionally Disturbed Children, Kalamazoo County Safety Council, American Newspaper Association, Michigan Press Association and he was a founding member of the Kalamazoo Boys Club. 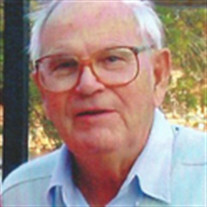 Ralph was a member of the Gull Lake Country Club, Park Club and Singapore Yacht Club while residing in the Kalamazoo/Gull Lake area. Ralph and Pam moved to Vero Beach, Fla, upon his retirement, where they lived for 21 years. While in Florida, he was a member of the Vero Beach Yacht Club and Grand Harbor Yacht & Country Club. Pam and Ralph moved back to the Gull Lake area in 2001. Ralph is survived by two daughters, Betsy Bastien (Bruce), Celeste Statler (Fred) and five grandchildren, Teagan Drayton (Charles), Molly Julien (Shawn), Bobby Leet, Fritz Statler (Erin) and Maude Statler; and six great-grandchildren, Lily, Charlie and Winston Drayton; and Paige, Sloane and Elle Julien. Ralph was preceded in death by his cherished wife, Pam; daughter, Suzanne; and a sister Betty. Ralph's fondest memories were of flying the skies with Pam in his Bonanza and in later life cruising the waters of Michigan, Florida and the Caribbean in one of his four "Gibson Girls". Ralph was laid to rest in a private family ceremony at the Yorkville Cemetery. A memorial celebration will be held in June at the Gull Lake Country Club (details to follow). Memorial contributions can be made to the National Down Syndrome Society, www.ndss.org. Arrangements were made by the Langeland Family Funeral Homes, Memorial Chapel, 622 S. Burdick St.